In most modern homes there's stiff competition between the kitchen and the lounge for the title of 'heart of the home'! Both are great spaces, and optimising their function as well as the look and feel can do wonders for your experience of the space - its livability - as well as the overall value of your property. As with almost every part of a property, a few fairly simple, cost effective changes can make a rather significant difference. 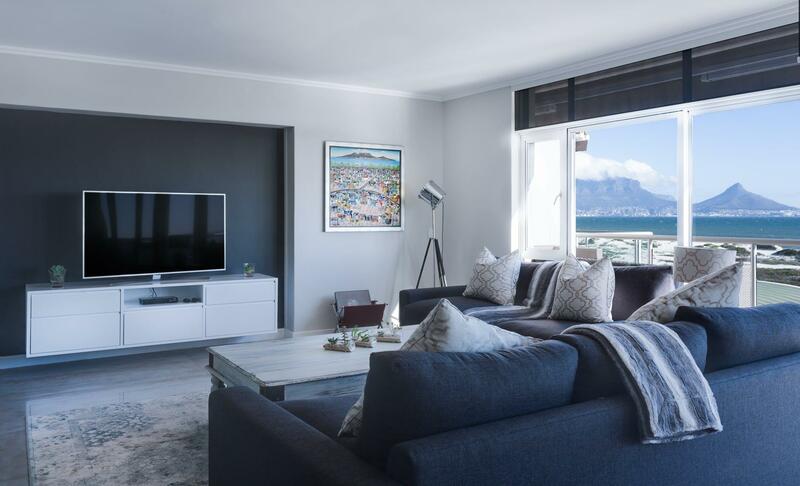 "More and more we find potential buyers really paying attention to the living room, to its flow, functionality and fittings," observes Silvana Dos Reis Marques, Manager at Leapfrog Pretoria East. What's interesting - and reassuring - is that making a lounge feel more like a living room is easier than you think. "There are essentially four main things to think about and tweak to make your lounge the most cosy and inviting in the neighbourhood," Dos Reis Marques believes. "Every room needs a focus point and in most spaces it's typically the object that takes up the most space, like the bed in a bedroom," she says. "The lounge is no different, but the focus point isn't always an obvious one, since the space can take on many functions, so it's up to you to choose one." Before doing anything else, decide what the focus point will be in the space. It's could be the fireplace, or a large window. Objects like the television, a big comfy sofa or that beautiful antique dresser that's a special family heirloom. Once you decide on the focus, it's time to arrange the furniture. "Start by thinking about how you want people to enjoy the space, and move things accordingly," Dos Reis Marques explains. Whatever you do though, don't position the furniture against the walls. "Unless you're designing a medical waiting room, this is something to avoid!" Dos Reis Marques quips. Rather aim to create "conversation areas" that promote socialising in a natural way. Few things establish and enhance the atmosphere of a space quite as much as the lighting. "It's one of those things you don't notice when it's done right, but feels terrible when it's done wrong," Dos Reis Marques reckons. Layering is the last word when it comes to getting the lighting right. Layered lighting simply means having different types of lighting in a space, typically accent lighting, ambient lighting and task lighting, all in the right proportions. "The easiest way to approach this is to think beyond the conventional ceiling light in the centre of room and instead combine different types of lighting around the space," Dos Reis Marques advises. The details - think accessories like books, candles, souvenirs and decoratives scatters - are ultimately what injects a space with that all-important touch of personalisation. Be sure to incorporate all the things that are special to you - it's about sharing and showcasing what you love. And if you're buying, think local. Gone are the days where replicas of American, German or Scandinavian homes was the height of class. We've got so many talented people right here making the most beautiful things for the home, and it's always a good idea to support them. "Whatever you do, remember that the most inviting and livable lounges are those that embrace and reflect the preferences of those who call the space their own," Dos Reis Marques concludes.